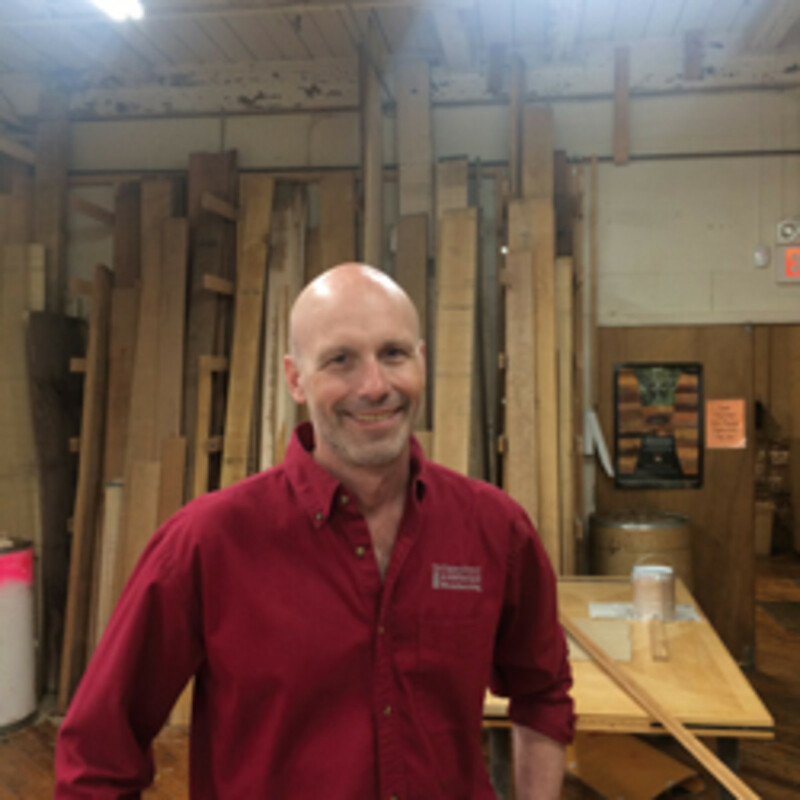 As director of the New England School of Architectural Woodworking in Easthampton, Mass., Greg Larson is certain his focus on advanced-woodworking career training will pay off in the end for his students, as well as for the industry as a whole. 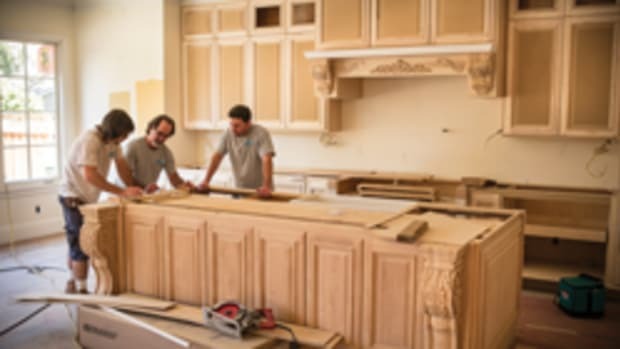 The school offers a five-month cabinetmaking course from January through June, taught by Larson and a part-time instructor, for students who want to turn cabinetmaking into a profession. Enrolling a maximum of 11 students per year, it attracts a wide demographic from the East Coast and beyond. The average student is 32 years old and is going through a career change. After learning compulsory skills and completing commissioned projects, students earn a certificate of completion. The school features a fully equipped 5,000-sq.-ft. learning space in a renovated mill that was once an elastic thread factory. 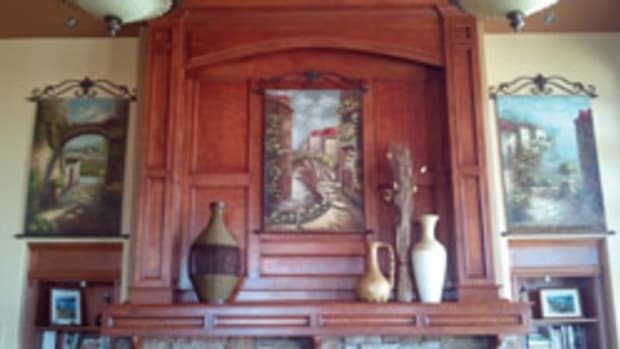 Founded by Michael Coffey in 1992, the school was originally named the One Cottage Street School of Fine Woodworking. 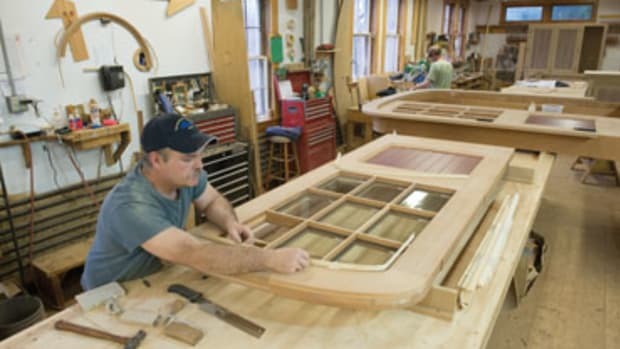 Steve Squire and Faith Harrison acquired the school in 1995 and training in architectural woodworking began soon after. Larson and his wife, Margaret, purchased the school in 2007. They have succeeded in accomplishing many of the goals they’ve had for the institution. 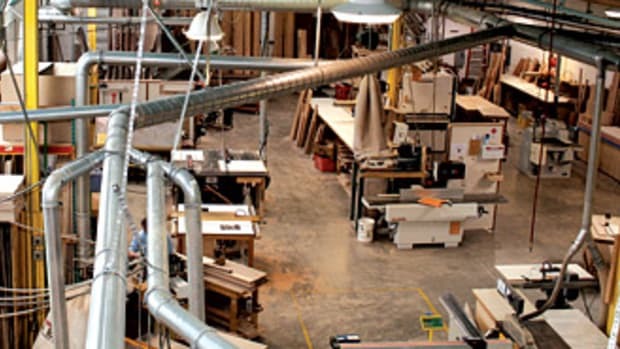 They have expanded the use of technology by adding and upgrading equipment, improved training on topics such as panel fabrication, veneering and understanding the characteristics of wood and developed several industry partnerships. Larson was hooked on woodworking after taking his first shop class in high school in St. Paul, Minn., though he started out in the working world as a computer engineer and wrote software for Apple. In 2001, he took a year off to attend the NESAW. 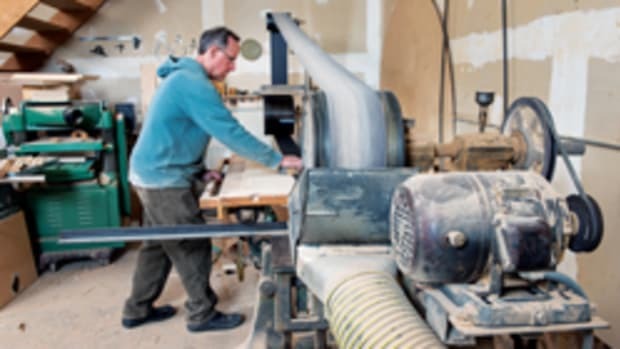 “I had been running my own woodworking business on the side for a long time while being an engineer, but I was self-taught so I really wanted to learn the ins and outs of cutlists and shop drawings,” Larson says. Margaret moved with him, taking a leave from the marketing firm where she worked. The two fell in love with the area and upon, returning to their jobs in Sacramento, Calif., knew what they had to do. 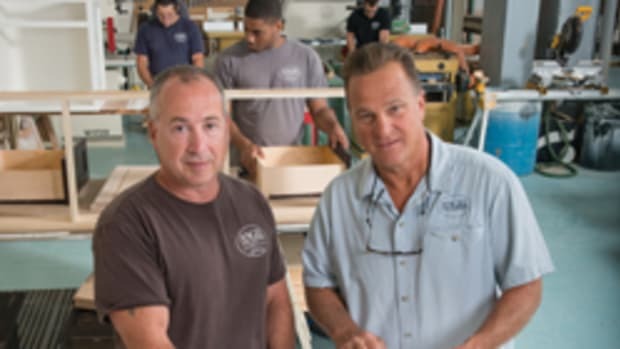 “We decided to move back here in 2006 to Southampton, which is just a few minutes away from the school, and I went to work as a cabinetmaker in a custom cabinet shop. We really liked the area and decided it was a better place to raise our son,” Larson says. 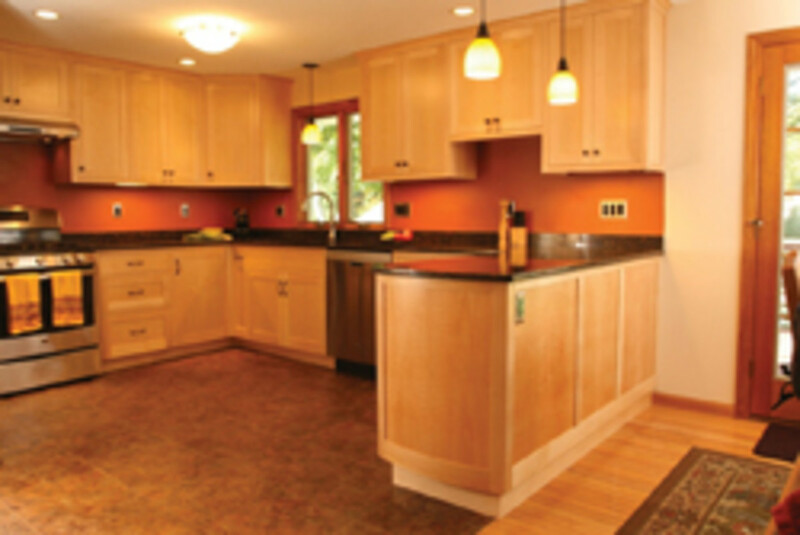 When they had the opportunity to buy the school, Larson was swayed by his belief that he could best serve the architectural woodworking industry as an educator, with Margaret managing the marketing and financial aspects. At the time of the sale, NESAW was offering a nine-month program on a half-day schedule. That soon changed. “We now run a full-day program that takes about five-and-a-half months. It’s still the same amount of hours as before, but it’s really helped students get more out of it. Before we were starting at 7:30 a.m. and cleaning up at 11:45 a.m. just as we got rolling. Now we get a lot more packed in during the day,” he says. Another change was how the course curriculum related to the real world, particularly the local community. 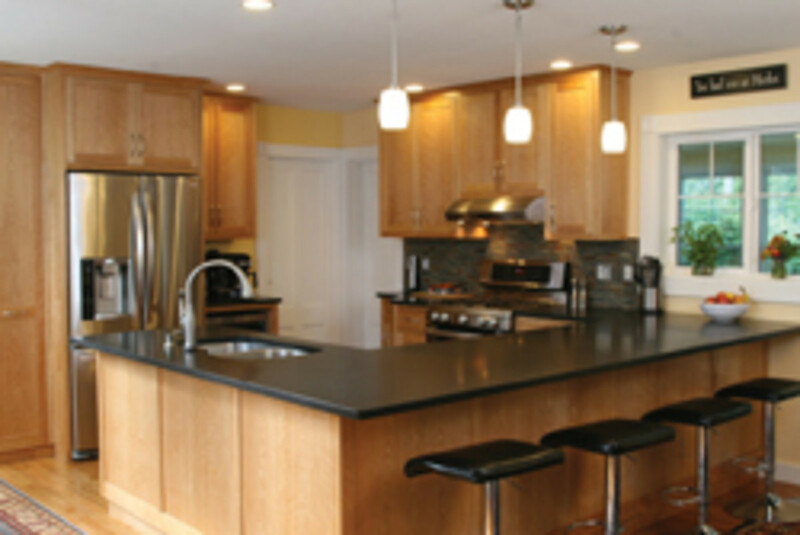 The school was producing bookcases, media centers and other pieces for the public, but the Larsons took it up a notch in 2009 by building kitchens. 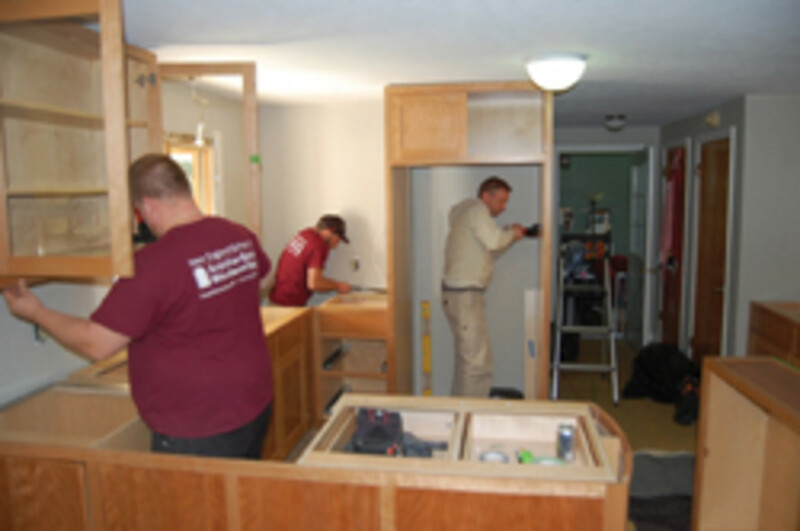 The students work with the homeowners in the design process, then build, finish and install. 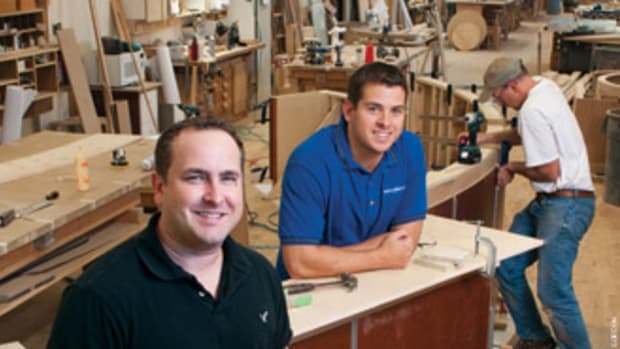 The school added a night and weekend program called “The Workbench,” in 2012 for anyone interested in learning a few skills to build a small project, such as a keepsake box or end table. 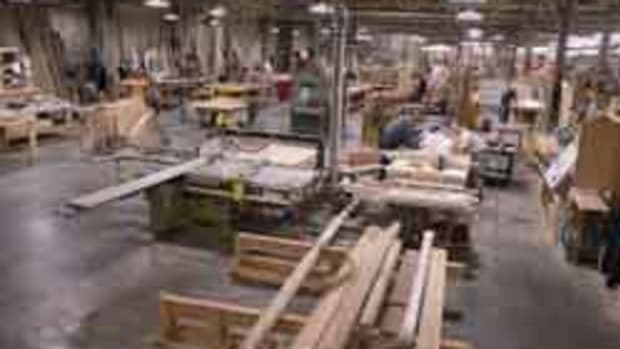 Larson serves on the board of directors for the Woodwork Career Alliance of North America and assists with its credentialing program that involves skill tests with machines and techniques. Larson recently received the 2017 Educator of the Year award from the Woodworking Machinery Industry Association in recognition of his service to the industry. It’s no wonder Larson is often approached by shops searching desperately to find skilled help. He’s a big proponent of shops sending prospective employees to their nearest woodworking schools for training. 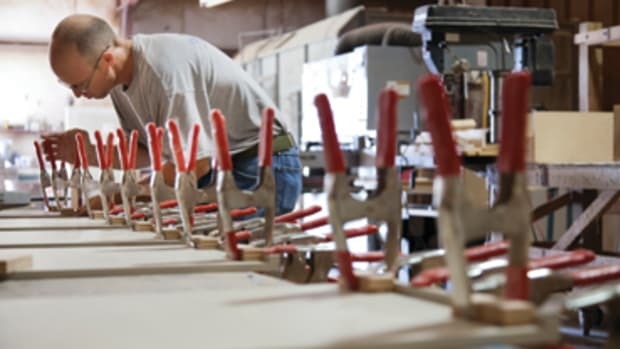 “There’s getting to be a huge concern as to where employers are going to find trained employees moving forward given the lack of people choosing to enter the architectural woodworking industry and the lack of training programs,” Larson says. “I must get at least a couple of inquiries a week from employers looking for employees. We’ve developed a good reputation over the years and our graduates are in demand. But the problem is that we only graduate eight to 10 students a year, which isn’t nearly enough to meet the demand, and pretty much all of my previous graduates already have jobs. Tuition is about $11,000 for the five-month program. Larson has been working with a fellow woodworker to develop a plugin for the SketchUp design program. CabWriter went on sale earlier this year at www.cabwritersoftware.com. “CabWriter adds parametric drawing capability very similar to what some of the well-known commercial software does, but at a much cheaper price point. We are in the sub-$1,000 range. While it can’t do everything that the big boys can, it gives the small- to mid-sized or home shop a solution that works and is based on one of the more popular drawing packages out there. This article originally appeared in the July 2017 issue. 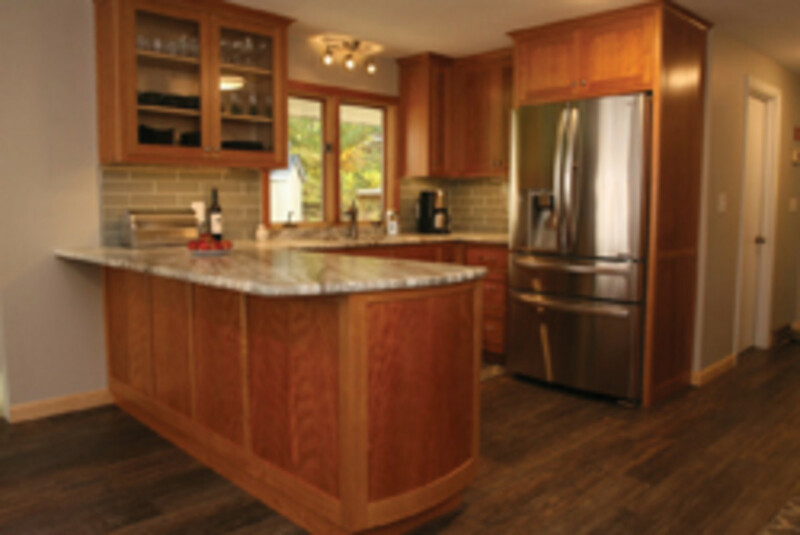 Saranac Hollow Woodworking has a 20-year history in upstate New York of offering custom cabinets, furniture and casework.